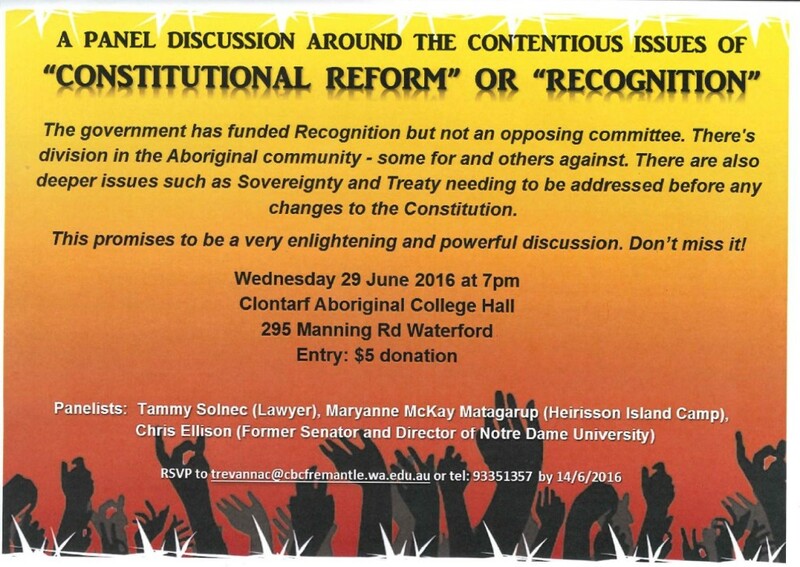 Clontarf Aboriginal College will be hosting a panel discussion on Wednesday 29 June about “Constitutional Reform” or “Recognition,” and the issues and debate surrounding this topic. 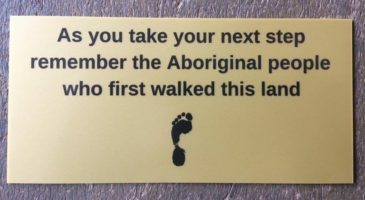 The panelists will include lawyer, Tammy Solnec, Maryanne McKay Matagarup from Heirisson Island Camp, and Chris Ellison, a Former Senator and Director of Notre Dame University. For full details of this event, please click on the image below to download the event flyer.